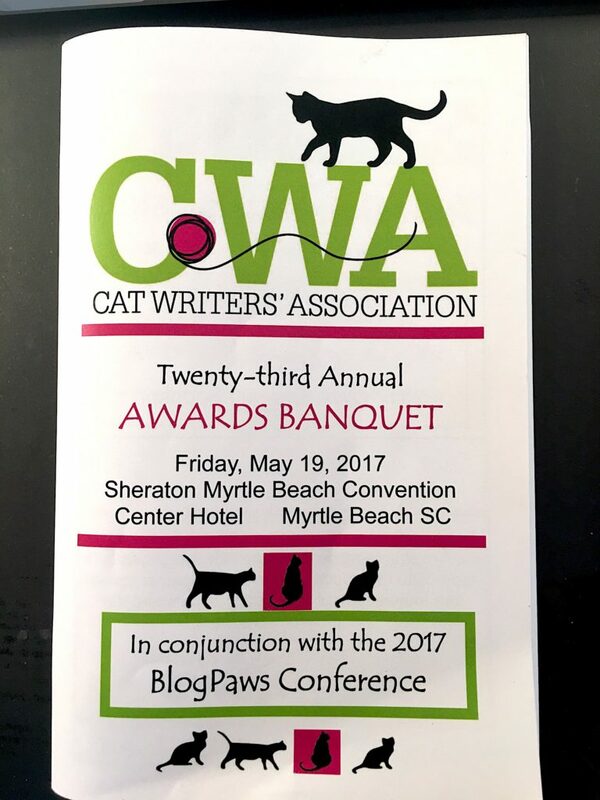 New York – May 22, 2017 – Celebrating the love of cats and the content they inspire, the 23rd annual #CatWriters Association Communication Contest winners were announced Friday May 19, 2017 at a banquet held in Myrtle Beach, South Carolina. The 2017 CWA Conference and Awards Banquet were held in conjunction with the 2017 BlogPaws Conference May 18-20, 2017. Chosen from among all MUSE™ Medallion winners in the regular contest categories, the coveted CWA President’s Award was awarded to Deb Barnes for her book entitled Makin’ Biscuits. Arden Moore, CWA Contest Chair and The Michael Brim Distinguished Service Award winner with Marci Kladnik, CWA President. During the banquet 42 awards were presented to the honored individuals, including MUSE medallions, 20 special awards and more than $14,000 in prize money were presented in writing, photography and graphic arts categories at the special awards ceremony. 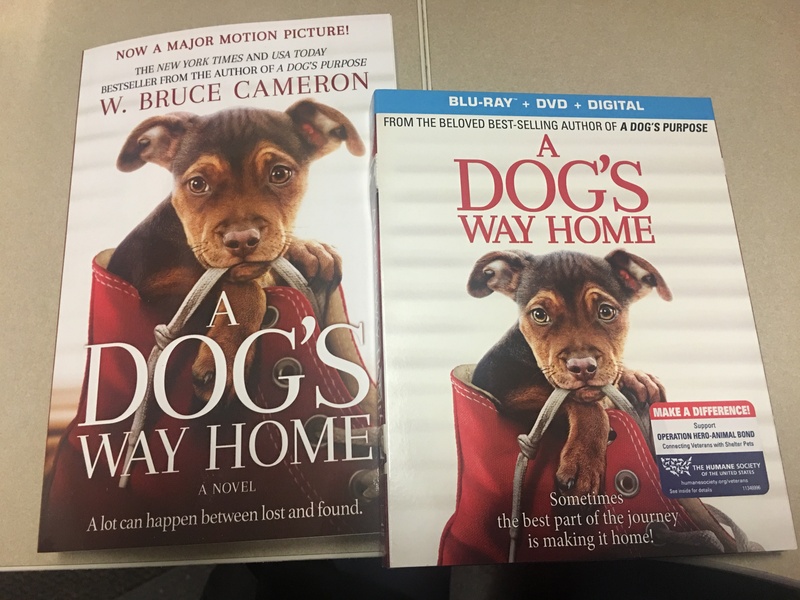 “Every year the task of reading all of the MUSE-winning entries falls to the president of CWA in order to choose the best-of-the-best to win the President’s Award. The stellar work submitted by our talented membership always makes this very difficult because every MUSE is well deserved. My sincere congratulations go out to all the winners for it was a very tough competition!” commented Marci Kladnik, current CWA president. 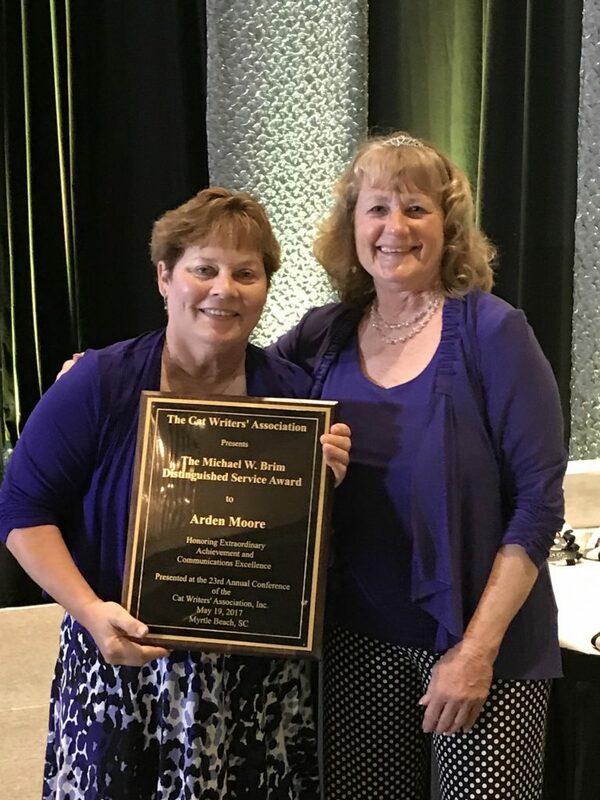 Arden Moore received special recognition for her lifelong impact in the pet industry and was named the recipient of the Michael Brim Distinguished Service Award. This year noted the most competitive categories, with two winners being chosen in three categories – Kim Thornton and Jacqueline Munera for their individual Online Articles – Health and General Care; Phillip Mylnar and Kim Thornton, Dr. Marty Becker and Mikkel Becker for individual Online Columns; Lisa Richman and Bernadette Kazmarski for their individual Blogs in the Entertainment Category. 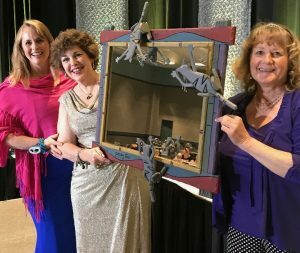 Left to Right: Dr. Liz Bales presents Amy Shojai with the Fear Free Pets Award “Peeping Toms” Custom Made Mirror with the help of CWA President Marci Kladnik. Petsafe® Scholarship – Sponsored by Petsafe®, this is an award of $500.00 for the winner to attend next year’s CWA Conference. The drawing was held during the just-concluded 2017 Conference. The Cat Writers’ Association, Inc. (CWA) is an international journalism organization founded in 1992 to promote the interests of cats; to provide a medium for exchange of ideas, methods and professional courtesies; and to promote a high standard of ethics in the collection, creation, and dissemination of cat information. CWA is a dynamic professional group of passionate cat advocates composed of writers, bloggers, photographers, artists, and broadcasters. The Association promotes mentorship for new writers, provides writing/publishing educational opportunities, and seeks to improve the quality of cat information by recognizing and rewarding outstanding published work. See www.catwriters.com for further information. Follow CWA on Twitter at @CatWriters and on Facebook at https://www.facebook.com/CatWriters. Such a fabulous photo! Congratulations to everyone!